Waking up to a great start in the morning may be one of the most wonderful feeling that most people in this fast-paced life rarely get. It is usually brought about by a really good break from stress the night before, or, an excitement for whatever they look forward to for the day ahead. Most importantly, great mornings come from having a good and sound sleep throughout the night. And having good quality sleep on regular days also brings great benefits to everyone’s disposition for the day ahead, especially with their performance at school or at work. Imagine a mother waking up from good quality sleep. Having slept so well through the night, she will have more energy to prepare the whole family’s breakfast before sending them off for the day. Her husband will also be in a more positive disposition waking and will always be ready to take on another whole day’s worth of challenges at work. Kids on the other hand, could perform better at school because they will also have more energy to participate in class and take in all the lessons from all the lectures they will encounter through the day. 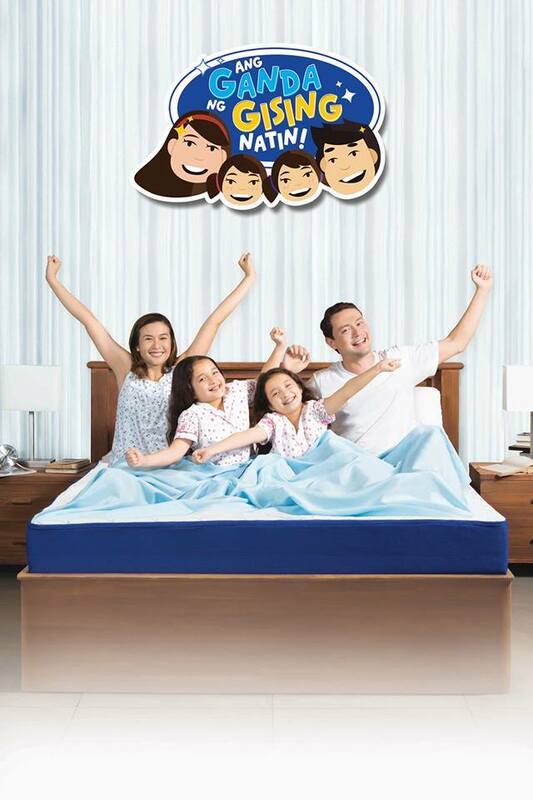 Uratex, the country’s leading manufacturer of quality foam and mattresses, is spearheading a campaign called “Ganda ng Gising,” which embodies the benefits of good sleep to inspire Filipinos in taking the value of good sleep so they could wake up happier and ready for the day and the world. Being the Sleep Specialists, their innovative sleep solutions bring out not only the pleasure in sleep, but also the Science in providing good quality sleep brought by the technologies they incorporate in every product in their line-up. “Wake up to better, brighter tomorrows with Uratex because you can do more and be more with good sleep,” urges Cherry Tan, Uratex Marketing Director. “Uratex is the Sleep Specialist that brings new innovation and research-based technology through better sleep solutions and products to its consumers.” Uratex carries an exceptional lineup of pillows and mattresses for superior sleep experience. “We will not stop until we give every Filipino a comfortable and affordable mattress to lie on,” Robert G. Cheng, founder of Uratex, once declared. One of Uratex’s innovative sleep solutions that is suited for the whole family is its Airlite Cool Mattress. It has the Sleep Cool® technology that uses open cell foam which effectively lets the air flow freely. Its side panels uses 3D Spacer fabric which makes it more breathable, which gives a refreshed feeling while sleeping. Its comfort layers offer a medium firm feel, distributing the pressure evenly. And for added comfort, its main panel is covered with soft, knitted fabric. Mom, dad, and the kids will definitely feel refreshed when they wake up from a Uratex Airlite Cool Mattress and will be ready to face the day ahead in no time. Check out and download Uratex’s newest “Ganda ng Gising” sticker pack for Viber and make chatting with family and friends online about sleep more fun. For more information about Uratex visit their website at www.uratex.com.ph or their Facebook page at www.facebook.com/UratexPhilippines.